Today’s guest post has some lovely ideas if you feel like incorporating some move inspired home decor into your interiors. Enjoy! As the new year kicks in, many folks turn their thoughts to decorating the house – and the cold winter months require something particularly cosy and warm. Here are a few suggestions, all inspired by favourite movies. After all, if you are struggling for ideas, why not turn to the experts who design famous homes for a living! 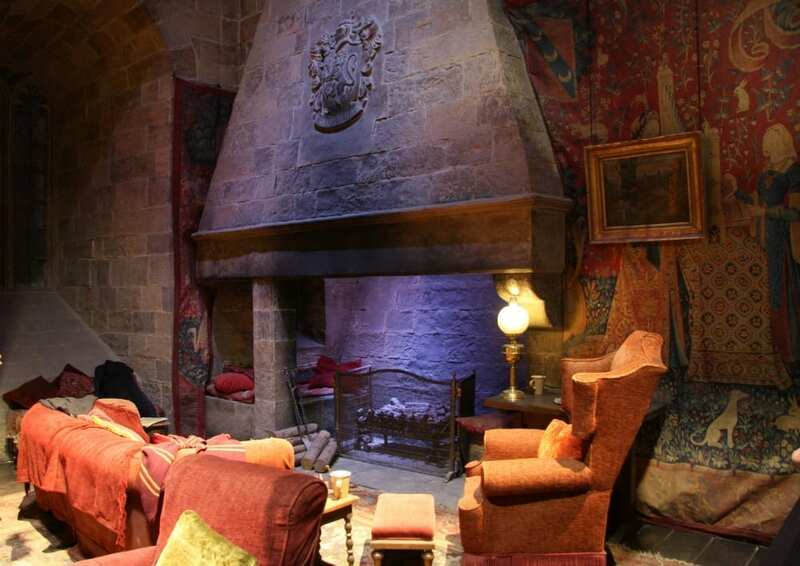 The Gryffindor common room at Hogwarts Castle in the Harry Potter films was the inspiration for the living room. The layout is versatile – so the students can hold discussions, there is a small round table circled by chairs, which is a great design for large families and entertaining guests. You don’t even need a table to arrange your furniture in the round (and for a bonus, you can explore the set yourself to see how welcoming this room feels). Alternatively, you could place one of the armchairs behind the sofa facing away from the circle to create a solitary space for reading. Roman baths could be on the verge of a comeback – and who doesn’t dream about stepping into a large bubble-foam bath like the one in Scarface? Advances in design and technology make it possible for builders to install sunken baths in some modern households and the number of innovative designs means that you don’t always need a great deal of space. They are also easy to style for any design theme. If you are expecting a white winter this year, why not upgrade the lighting on the outside of your house to compliments the sheets of snow sweeping across the lawn? Imagine how your garden might look with the right lighting – to give you some ideas, take a look at these shots from the classic winter film, White Christmas. Warm colours often help to give a room a cosy feel, particularly the red walls in the romantic comedy, Amelie. Red accentuates other colours in a bedroom and a lighter shade like the one in the film as a timeless, Oriental feel that emits an aura of exoticness. You might want to give the animals pictures a miss, but that may depend on whether you are a pet lover or not. If you have a large kitchen, it can be difficult to keep warm during the winter months. A centrally placed stove, with steaming pans of water like the chef’s kitchen in the animated film Ratatouille helps to distribute the heat and give your kitchen a centrepiece with a wow factor. You can even put up hooks to hang your pans on. If you love watching movies, keep on the lookout for new interior design ideas and discover inspiration of your own to keep you warm and snug this winter. My son’s have movie inspired home decor in their bedrooms. They have Spiderman running across their walls on a border just below the ceiling. Apart from that they seem to have a knack for placing stickers, of all sorts, in the most inconspicuous places where it is very difficult to take them away (must be the small hands and fingers! ).